Marjorie F. Cebrelli, 94, passed away Apr 2, 2019. She was born Sept 24, 1924 to the late Phillip and Emily (LeBlanc) Keefe. Marjorie was a 1942 graduate of Agawam High School and worked for several years for Liberty Mutual Insurance before raising her family. She enjoyed gardening, spending time with her family and always had time for everyone who knew her. 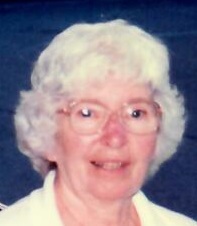 Marjorie was a member of the former St. Anthony’s Church in Agawam. She was predeceased by her husband Peter Cebrelli in 2002. Marjorie leaves her loving children; Marcia Scherpa and her husband Lawrence of Agawam, James Cebrelli also of Agawam and Donna Moore and her husband, Ralph, of South Hadley, her 4 grandchildren and 4 great grandchildren. A Funeral Mass will be held Tuesday, April 9, 2019 at 11AM at Sacred Heart Church in Feeding Hills. Burial will follow at Agawam Center Cemetery. There will be no calling hours. The TOOMEY-O’BRIEN FUNERAL HOME is handling all arrangements.